Apr 30, 2019 Bidding Ends 6 PM! 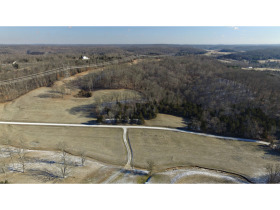 A great opportunity to purchase 80 +/- continuous acres in a park-like setting! 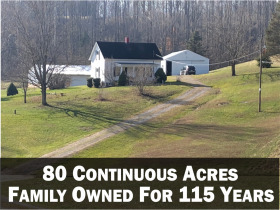 Property has been family owned for 115+ yrs-first time ever on the market! 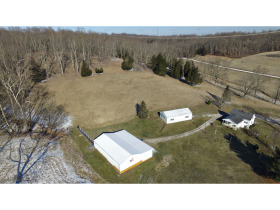 Land features: 80+/- acres (43 +/- tillable/open land & 37 +/- wooded) & quality marketable timber. Completely renovated Craftsman style 3BR/1BA two story farm house ready to move into. 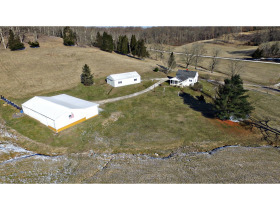 Ideal for a small farm, hunting site or weekend getaway! Located 10 miles from I-64 Exit #92 or 35 miles west of Louisville, KY! REAL ESTATE INFO: An outstanding opportunity to purchase 80 +/- secluded acres in a park-like setting! 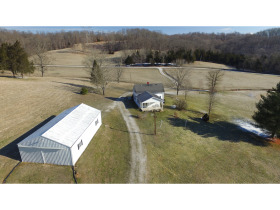 This one of kind meticulously well-maintained private property has been family owned for 115+ years and is ideal for the weekend getaway, small farm, hunting property, or quiet retirement site. Secluded but easy to get to and just minutes from the Dock/Overlook restaurant! Abundant with whitetail deer & wild turkeys-properties like this seldom come to market! If your dream is to “get away from it all”, then it is for you with no neighbors in sight! HOUSE FEATURES: Includes a 1913 built Craftsman style two-story country farm house that was completely renovated in 1998. Features: 1536 SF, 3BR/1BA, 384 SF basement, large front/rear covered porches, modern white spacious kitchen, oak staircase, oak electric fireplace, window treatments, & appliances (refrigerator, range, microwave, washer, dryer). Utilities: geothermal electric heat pump, central air, electric water heater, & 200-amp service. 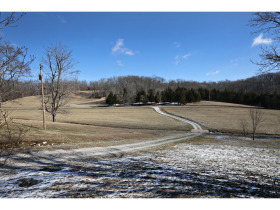 LAND FEATURES: 80 +/- acres (43 +/- tillable/open land & 37+/- wooded), $81K of quality hardwood trees, 3000’ +/- road frontage, natural running creek, scenic winding driveway, large amount of wildlife features, ATV accessible, large garden spot, & scenic country views across the valley! 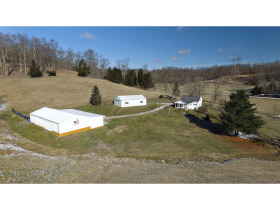 BARN FEATURES: Barn #1-32x70, existing horse stalls, electric, livestock waterer, white metal exterior, & 6” guttering. 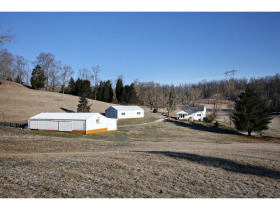 Barn #2: 27x48, primarily used as a garage/shop, electric, white metal exterior, & 6” guttering. 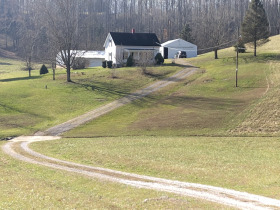 FARM HISTORY: Farm has been family owned by three generations of the Jenkins Family since 1903. Original 1/8 section, homesteaded in 1816 still intact. TIMBER APPRAISAL: Conducted January 2019 – appraisal total of $81,000 for the 202,500 board feet. See “Document” section for appraisal specifics such as species and board feet. GAS/OIL/MINERAL RIGHTS: Includes sellers’ interest in mineral rights. POSSESSION/CLOSING INFO: Possession will not be granted until June 1. Buyer to pay all closing fees except deed prep. DIRECTIONS: From Leavenworth/Marengo I-64 Exit #92, turn north on IN 66 6.6 miles, then right on Speed Road 1.3 miles, turn left on N Depot Hill Rd 1.4 miles, turn right on E Hogtown Rd 0.6 miles to site. 1. Conditions of Sale: This online only auction is selling subject to owner’s confirmation and is not contingent on or subject to financing, appraisal, survey, or inspections of any kind, as agreed to by bidders at registration prior to bidding and specified in the attached Agreement to Purchase Real Estate. Seller and Buyer(s) shall pay their share of the costs of closing. Buyer acknowledges they are buying property “as-is”, “where-is”, without inspections or contingencies. Buyer(s) will rely on his/her own judgment and inspection. By signing an offer, Buyer(s) will be waiving the 10-day lead based paint test. 2. Closing: A Buyer’s Premium of 10% is added to the high bid. Please take this into consideration when bidding. 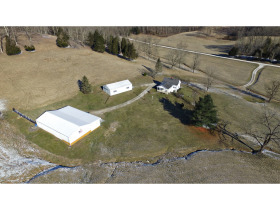 At the close of the auction, the successful Bidder will be emailed an Agreement to Purchase Contract to be executed and returned to Beckort Auctions, LLC within twenty-four (24) hours of the completion of the auction along with 10% deposit of the total contract price. The down payment may be made in the form of cash, cashier’s check, personal check, or corporate check. The entirety of the remaining balance is due at closing on or before Thirty (30) days from Auction Day. Purchaser will be responsible for all wire transfers. Per the Contract, time is of the essence; you should proceed to closing within Thirty (30) days. Possession shall be given to the successful Buyer(s) at closing, seller will provide deed preparation. 3. Liquidated Damages: Successful Bidders not executing and returning their Contract with Earnest Money deposit within Forty Eight (48) hours of the conclusion of the auction will be considered in default. If your closing is delayed for any reason, by you, as purchaser, or other parties working on your behalf, including any lender you involve, you may be declared in breach of this contract, forfeit all deposits made and could additionally be liable for any and all costs incurred by Seller and Beckort Auctions, LLC incurred in a subsequent resale of the property. If such action occurs, Beckort Auctions LLC hereby has the right to disperse the deposit as stated in the listing agreement and the buyer has no claims to such money or property being sold. Liquidated damages are to cover cost of auction, cost incurred by seller, labor cost and additional cost of auction as not defined in this agreement. These liquidated damages do not restrict the seller from suing the buyer for performance damages and/or any additional damages the seller suffers by the default of the buyer. 4. Back-Up Bids: If you are not the successful bidder on the real estate and wish to make a back-up bid in case of default by the high bidder, please see Brian Beckort to receive a Back-Up Bidder Form. 5. Other Conditions: There are no contingencies to this sale (i.e., financing, appraisal, repairs, or inspections). Therefore, you should be pre-qualified by a lender prior to bidding if you require financing. Beckort Auctions, LLC reserves the right to remove or cancel the bids and or bidding rights and privileges of any party at any time deemed not to be in the best interest of the seller. The identity of all bidders will be verified, bidding rights are provisional, and if complete verification is not possible, Beckort Auctions LLC will reject the registration, and bidding activity will be terminated. All Beckort Auctions, LLC Online Only Real Estate Auctions are timed events that have an auto-extend feature. Any bid placed within 10 minutes of the auction ending will automatically extend the auction for 10 minutes from the time the bid is placed. Example: If an auction scheduled to end at 6:00 p.m. receives a bid at 5:59 p.m., the close time of the auction automatically extends to 6:10 p.m. The auto-extend feature remains active until no further bids are received within the 10 minute time frame. 6. Real Estate Brokerage Services Disclosure: Beckort Auctions LLC and their representatives are Exclusive Agents of the Seller(s). We do not represent the buyer(s) in any manner and we must be completely loyal and faithful to our client. Beckort Auctions LLC has an exclusive right to sell listing for this transaction. All negotiations must be conducted through Beckort Auctions LLC. A one percent (1%) bid price commission, not to include any buyer’s premium if applicable, is available to properly registered Brokers/Agents. You must pre-register your Buyers with Beckort Auctions, LLC twenty-four (24) hours before the end of the auction by filling out and recording with Beckort Auctions a Broker Registration Form. Agents who fail to pre-register their Buyer will not be recognized as Buyer Agents and will not be entitled to a co-op commission. Broker/Agent cannot act as a Buyer and Broker/Agent on the same transaction. Please review the Broker Registration form for eligibility. 7.  Beckort Auctions LLC Involvement in this Contract: The seller and buyer hereby agree that Beckort Auctions LLC is a part of this contract and shall receive compensation as stated in the agreement hereto or as stated in the listing agreement hereby made a part of. 8. Restrictions: Real Estate is sold subject to any and all existing matter of record, and all easements, building use or zoning laws and regulations. Taxes and assessments will be pro-rated to the closing date. 9. Additional Auction Information: All information published, announced or contained herein was derived from sources believed to be correct; however, it is not guaranteed by the seller or the auctioneers. Personal on-site inspection of all property is recommended. The failure of any bidder to inspect, or to be fully informed as to the condition of the property, will not constitute grounds for any claim or demand for adjustment or withdrawal of bid, offer or deposit money after its opening tender. This includes but is not limited to public information such as easements, restrictions, zoning, right-of-ways, or any other information that can be obtained as public record in the appropriate county court house concerning subject properties.